Originally designed as a medium tank for the US Army, the M3 was selected by the British to replace the considerable number of tanks lost in France following the withdrawal from Dunkirk. From the outset of production, two types of M3 were built: General Lee (US Army) and General Grant for the British. 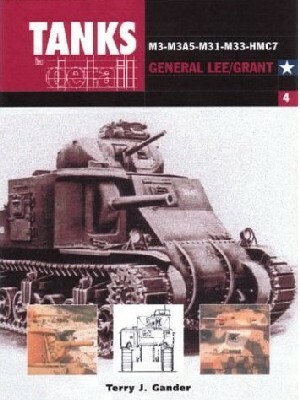 Six variants of the tanks were constructed - the M3, M3A1, M3A2, M3A3, M3A4 and M3A5 - for both armies. The British were the first to deploy the M3 in action, using it in the Western Desert in May 1942. The US Army M3s were first used in Operation Torch, the landings in North Africa in November 1942. As the M3 became obsolete as a gun tank, it was modified for other battlefield uses, including the HMC7 (self-propelled Howitzer), M33 (prime mover/heavy gun tractor), M31 (tank recovery vehicle) and Kangaroo (armoured personnel carrier). In total, some 6,000 chassis of all variants were constructed. All the variants are covered in detail in this title. Designed with the modeller, preservationist and the wargamer in mind, Ian Allan Publishing's new 'In Detail' series will provide readers with a comprehensive history of the type of tank, self-propelled gun or military transport featured. Each volume will include extensive facts about the unit in service, along with information on variants, markings, unit allocations etc. Alongside the comprehensive illustrative section, which will include detailed shots of models in colour, the books will also include scale drawings and comprehensive guidance notes on camouflage.